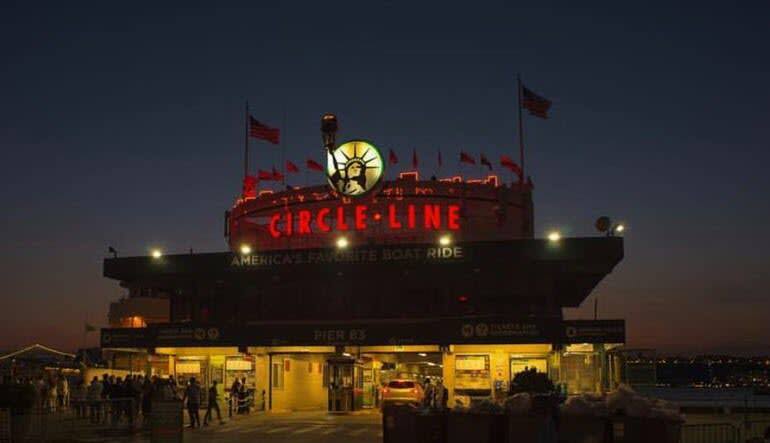 Take in the sunset sights on this perfect NYC cruise! As the sun dips its head below the skyline, you’ll experience a slew of Big Apple landmarks! 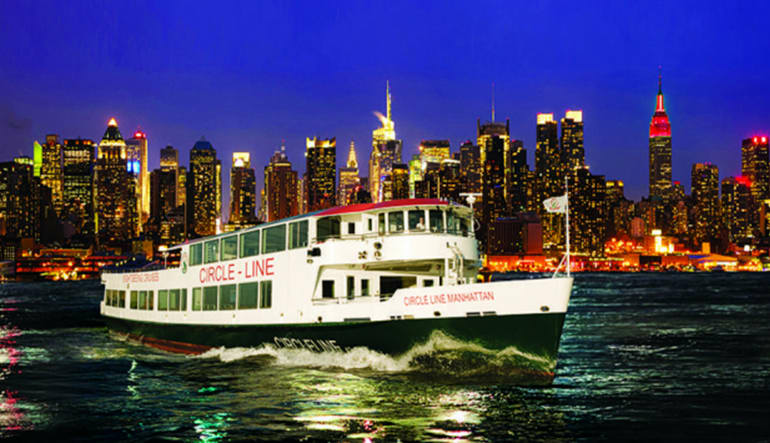 Take in the sunset sights on this perfect NYC cruise! As the sun dips its head below the skyline, you’ll bear witness to a slew of Big Apple landmarks aboard a luxury boat with both indoor and outdoor seating. Dozens upon dozens of New York City sites unveil themselves and offer you big profile-pic potential—cruise right under Lady Liberty, be awed by the world-famous bridges at sea-level and fall under the trance of countless flickering city lights as night falls! 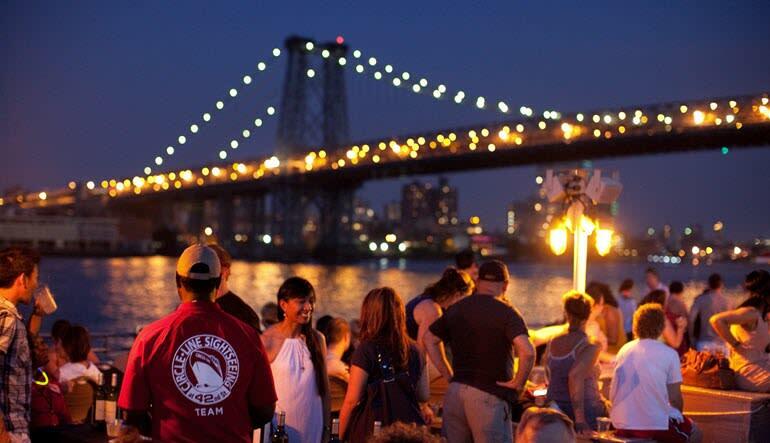 Take a 2-hour sunset cruise along Manhattan Island! Learn all about the Big Apple architecture from your on-deck guide. Enjoy real-time narration in multiple languages via the cruise’s free app. Purchase refreshments from the fully-stocked happy hour bar! Cruise real close to the Statue of Liberty! Drift past Wall Street and One World Trade Center. Watch the Empire State Building and Chrysler Building light the night sky. Capture photos of Pier 54, Ellis Island and Governor’s Island. Get detailed views of the Brooklyn Bridge, Manhattan Bridge and Williamsburg Bridge. See the United Nations, USS Intrepid Pier, South Street Seaport and more! The photo opportunities on the NYC cruise guarantee to exceed your expectations. Don’t miss this golden opportunity and book today! See NYC landmarks and the Statue of Liberty!